We will be closing at 17:30 on Thursday 20th December and will re-open again on Wednesday 2nd January. 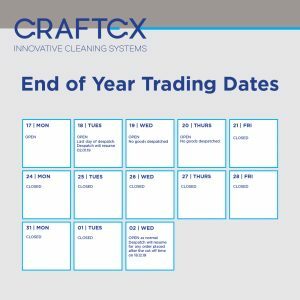 No phone lines will be manned during this period, however, for urgent enquires, you can reach us by emailing sales@craftexcleaningsystems.co.uk or helpdesk@craftexcleaningsystems.co.uk. Please note, our last day of despatch this year is Tuesday 18th December 2018. 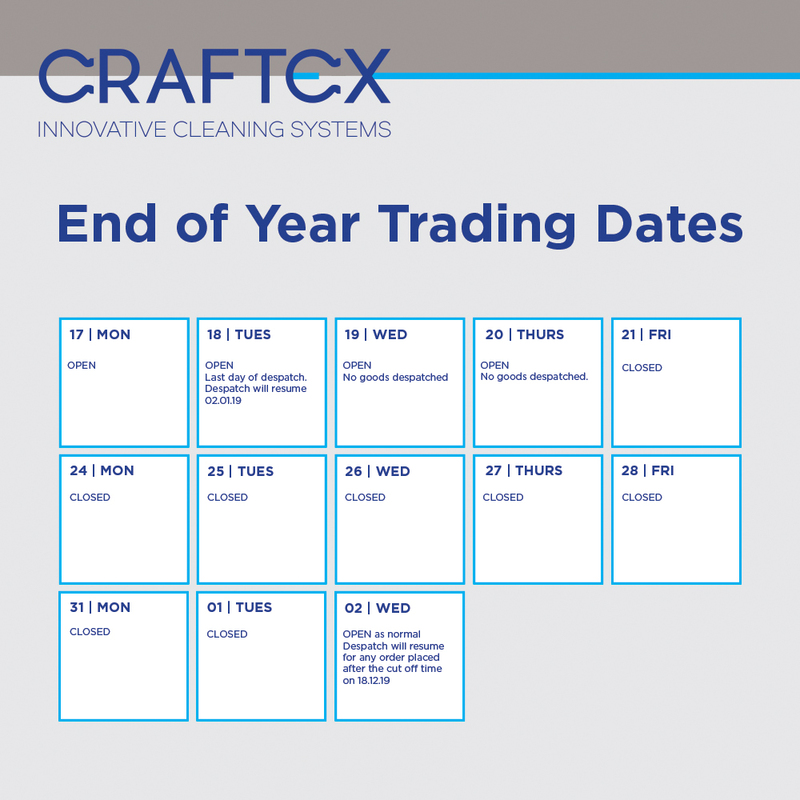 Orders received after the cut off time on Tuesday 18th will be despatched on Wednesday 2nd January 2019. Normal despatch resumes on Wednesday 2nd January 2019. We would take this opportunity to thank our customers for their support this year, and wish them all the best for 2019. 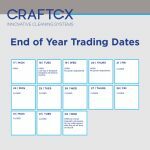 Click on the calendar below to view the above details.